Throwback to your favorite Kool-Aid purse with our redesigned, environmentally sustainable, and fashion-forward shoulder bags. 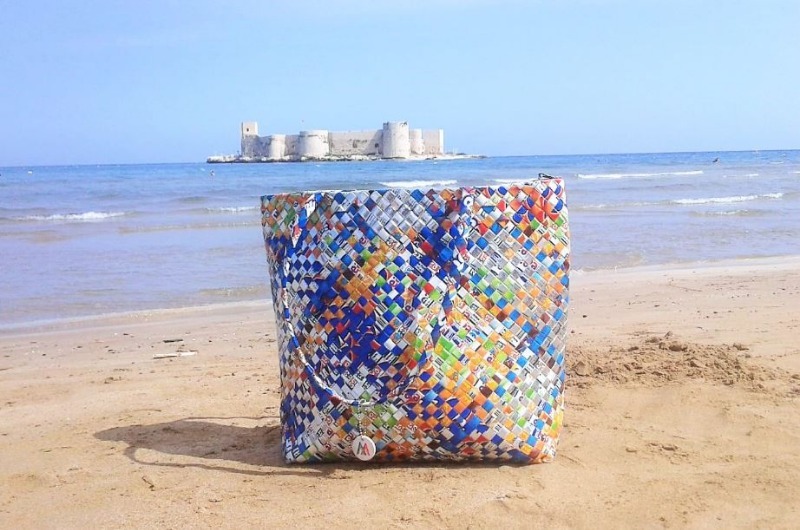 These ultra eco-friendly, handmade shoulder bags are sustainability woven into fashion. I get so many compliments on my bag almost every time I’m out. I can also fit so much in the bag too which is one of my favorite parts. I’m a mom of 4 so I can throw books, water bottles, diapers, and an extra change of clothes in here when I need. It’s so sturdy too so I’m looking forward to using it for years and years. I’ll definitely be ordering again! 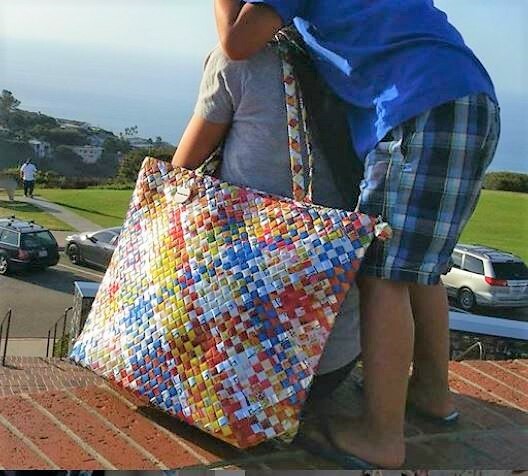 Came across these unique bags at the Carlsbad Street Fair on Nov 4th, I learned these bags are made " of discarded plastic from factories before it reaches the landfill". The patterns are so different and colorful and very beautifully woven. The choices was dificult to choose. Bought 2bags as gifts and mailed it to my niece in Hawaii. She loved it and plan to visit your website.Thank you for repurposing and making a usefull product. Aloha, Esther C.
I love my shoulder bag! I am a teacher and bring it to school every day. There is plenty of room for my computer and all the books I bring back and forth from home to school. After a year of use, it still looks new!! Your bags are incredible! I love this bag and even use it as a purse on busy days out with kids or shopping. It holds so much and I love that it zips. It is interesting as well as sturdy and easy to clean. I love it and will be getting more! My mothrerth bag is just so unique.